Jesus gave the "Parable of the Fig Tree" in his answer to his disciples' question on the sign of his coming yet Christians don't understand the sign it refers to and instead keep inventing new 'signs' almost every year. The parable itself is often turned into a symbolic prophecy referring to major events in the history of modern Israel one "generation" away from Christ’s return, supposedly allowing you to calculate the second coming date. But does "this generation" refer to Jesus’ first century audience or maybe to our generation, the "last generation?" Discover the real meaning of the parable and the key to discerning where we are in Bible prophecy that it plainly teaches when you let it. When I started studying Bible prophecy, like most I hoped to answer the question of "How do we know when Jesus is coming?" I quickly learned how varied and uncertain the answers for that question were. There were so many contradictory theories and approaches to sift through, it was overwhelming. Why, with so much prophecy written, were we seemingly clueless on this question, as judging from all the constant failed predictions of Jesus' second coming as well as the 2000 years of expectancy that Jesus could "come imminently (at any moment)." Now I know how to tell not exactly when, but at least if Jesus is coming soon thanks to the Parable of the Fig tree that Jesus taught. In it, he let believers know for all time the right approach to answering this question. It has been overlooked because of some inherent difficulties it contains that throw the reader off the trail. This has lead to people treating it as a prophecy instead of a parabolic point, as we shall see. Matthew 24:32-35 (HCSB) — 32 Now learn this parable from the fig tree: As soon as its branch becomes tender and sprouts leaves, you know that summer is near. 33 In the same way, when you see all these things, recognize that He is near—at the door! 34 I assure you: This generation will certainly not pass away until all these things take place. 35 Heaven and earth will pass away, but My words will never pass away. Do you see the difficulty? Jesus used the phrase "all these things" twice. Once for what would happen before "this generation" dies out and once for the events preceding his return and the coming of the kingdom (Mt 24:33=Lk 21:31=Mk 13:29). A face value reading of that would mean all the details of the prophecy he just gave would happen within one generation and also demand that he come "near" or soon after. This obviously did not happen, and still has not happened 2000 years later. You can hardly blame readers for being confused and giving up trying to make sense of the Olivet Discourse. How can this difficulty be resolved? I'm going to share my resolution below, but the popular resolution you hear most among prophecy fans is to equate the two "all these things" as referring to the very same event in the end times. Of course, the problem then becomes what do you do with "this generation," a plain reference to Jesus' listeners? It is taken it to mean "that generation" or the people alive a few decades before Jesus' second coming. This is helped by another twist that you have probably seen: turning the transformation of the fig tree described in the parable into a reference to the rebirth of Israel as a nation. This makes it easier to claim the "this" refers to our generation, the fig tree's generation. Let's take a look at it to see why it does not work. If you are not already familiar with how the Parable from the Fig Tree is treated as a hidden prophecy, here's how it goes. First, the fig tree is equated with Israel. 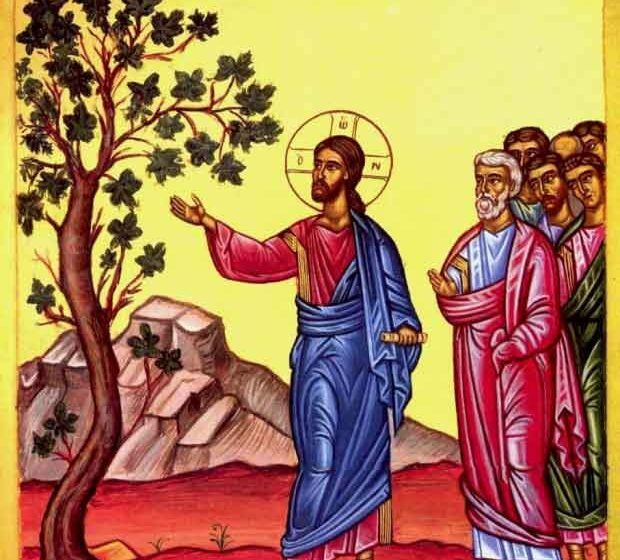 Several biblical passages already use the fig tree as a metaphor for Israel and these are naturally referenced to justify the same usage for the parable (Joel 1:7; Lk 13:6-9). Then one ties in the creation of Israel in 1948 as the "fig tree" and/or Israel's gaining of land in 1967 in the Six Day War as the fig tree "putting forth leaves." With the latter, it can even be said that "summer was nigh" since that war started and ended in early June. Finally, "this generation shall not pass" is used to start "a one generation countdown" from the year previously assigned to the parable to the return of Christ. But how long is a generation? That's where it gets interesting or certainly very creative. Varying definitions of what constitutes a "biblical generation" have been popularized: 40 years (Nu 32:13; Ps 95:10), 70 years (Ps 90:10), 120 years (Gen 6:3), However, the most commonly accepted definition of a generation, 40 years, is no longer used much since it is not conducive to the scheme working anymore. For example, the book 88 Reasons Why the Rapture Will Be in 1988 used 40 years from 1948 to provide one of its 88 proofs that "Jesus will acquire His bride" in 1988. We all know how that turned out. 1967 + 40 = 2007 is another variation which is also already past due. One popular long time prophecy website which once used the 40-year generation later switched to teaching a generation of 48.33 years and Jesus' return in Fall, 2015 (June, 1967 + 48.33 = 2015). If that does not immediately sound forced to you, try coming up with the same number from the verse they based it on: Matthew 1:17! The clear lesson from these few examples is that people can imagine many generation lengths which when plugged into the fig tree parable create many yet future timeframes for the rapture. But there really is no need to withhold judgment and wait-and-see on such rapture calculations. There are several serious difficulties with the parable=prophecy rationale which bring any conclusions from it into doubt immediately. You will probably be kicking yourself like I did for not seeing these things earlier. Luke 21:29 (HCSB) — Then He told them a parable: “Look at the fig tree, and all the trees. The parable is drawing attention to all the trees as examples, not just one type. Of course, most trees (and plants) sprout leaves in the spring. This alone does not disprove that the fig tree was used with some hidden meaning intended, but it does steer you towards the plain literal meaning of the concept "fig tree" as simply a harbinger of the summer season. The other issue is that there is no indication that we should take the fig tree figuratively. It already makes sense plainly. To take the fig tree out of its context here by using other passages where the context uses a fig tree as a symbol for Israel is not justified. An alternative non-literal reading should only be looked for when the literal reading makes no sense or the context directly hints at a non-literal use. An example of this would be Revelation 9:1-2 where it describes a star falling from heaven "with a key" to the abyss which "he opened." Stars don't use keys, but from other passages about the fall of Satan and the fallen angels describes as stars (Rev 12) it is understood that the star here can refer to a fallen angel. The biggest issue of all perhaps is the twisting of the phrase "this generation." When Jesus spoke this parable, the words "this generation" could only refer to his first century audience standing there before him, listening to his words. If you doubt that, notice how he uses the same phrase earlier pronouncing a curse to fall on the Jews of "this generation" (Mt 23:36) for their murdering of the prophets. Obviously, that judgment did not wait 2000 years or the Jews it was slated for would have all died before they were judged. Many agree that he spoke both "this generation" pronouncements in the year 30, as some 40 years later, in the year 70, the Romans sacked Jerusalem and destroyed the temple. This literally fulfilled not one stone being left on another (Mt 24:2). More importantly, it also fulfilled the timing he specified multiple times to be "upon this generation" (Mt 23:36; 24:34) or happening before 40 years passed from the speaking of the prophecy (Nu 32:13; Ps 95:10). To take Jesus' words "this generation" to mean "that generation" requires a complete disregard for the meaning of the word "this." It breaks Scripture, or denies its plain literal meaning which is not how Jesus taught by example to handle Scripture (John 10:35). If you have heard people talking about "the last generation" this is where it comes from. There is no "last generation" in the Bible; Jesus always refers to "this generation" whether it was Moses or Jesus addressing a crowd who were about to be cursed. A Better Resolution to "All These Things"
Matthew 24:32-35 (HCSB) — 33 In the same way, when you see all these things, recognize that He is near—at the door! 34 I assure you: This generation will certainly not pass away until all these things take place. Mark 13:29-30 (HCSB) — 29 In the same way, when you see these things happening, know that He is near—at the door! 30 I assure you: This generation will certainly not pass away until all these things take place. Luke 21:31-32 (HCSB) — 31 In the same way, when you see these things happening, recognize that the kingdom of God is near. 32 I assure you: This generation will certainly not pass away until all things take place. First Century: temple destruction and related "things" that happen on "this generation." End Times: second coming, kingdom and related "things" that happen "in the end." Another strategy for difficult phrases is to see where else the phrase is used. A chapter earlier in Matthew, Jesus made a very similar pronouncement about "things" coming "on this generation:"
Matthew 23:33-36 (HCSB) — 33 “Snakes! Brood of vipers! How can you escape being condemned to hell? 34 This is why I am sending you prophets, sages, and scribes. Some of them you will kill and crucify, and some of them you will flog in your synagogues and hound from town to town. 35 So all the righteous blood shed on the earth will be charged to you, from the blood of righteous Abel to the blood of Zechariah, son of Berechiah, whom you murdered between the sanctuary and the altar. 36 I assure you: All these things will come on this generation! Jesus warns the scribes and Pharisees of judgment for their crimes coming on "this generation" just as he says regarding the timing of the temple destruction. Notice how "all these things" does not quite fit here, either, because at most a couple events are predicted; the sending of prophets and the charging of bloodguilt. A simple "this will happen" seems more appropriate, but instead we have another ill-fitting "all these things." My point in showing you this is that Jesus' usage of the phrase in reference to events happening on his generation is consistently awkward, at least as in how it has been transmitted down to us in its final Greek. Perhaps the original Hebrew phrase Jesus used for "all these things" was meant emphatically and not to denote completion. Maybe the Greek translator misunderstood and failed us all in his translation. Whatever the answer is, it's obvious from his usage that it's not best to take "all these things" to mean "every single thing I have been talking about so far." Luke 21:31-32 (HCSB) — 31 In the same way, when you see these things [that I told you about the end times] happening, recognize that the kingdom of God is near. 32 I assure you: This generation will certainly not pass away until all things [that I told you related to the temple Destruction] take place. When we read this parable concluding the Olivet Discourse thusly, it matches up with the two questions that opened it. Now that we can read the parable not as some kind of secret date calculation prophecy but as instructions on how to tell when Jesus' appearance is near, what does it tell us? It tells us how to use rest of the Olivet Discourse that preceded it. It is actually part one of a two part instruction explaining how not to use his words and also the proper way to use them. Part One or how not to use Bible prophecy is found in the very next passage after the Fig Tree Parable. Jesus warns people that no man knows when he is coming (Mt 24:36-39). The passage plainly says that no one can figure out (far in advance) the date of Jesus' return (and by extension, other prophetic events connected with it). Yes, that means even someone equipped with the Bible because Jesus also included himself as not knowing the date and he was the complete Word of God itself, of which the written Bible is only a subset. Of course, the prophecy invention-based date settings we have endured for 2000 years all ignore this plain statement. For more on that see my article on understanding "no man knows the day or hour." If we can't use Jesus' words in the Olivet Discourse and other prophecies to figure out in advance "the one date" to put on our calendar to watch, then what are these prophecies for? That's where Part Two, the Parable of the Fig Tree instructions, come in. It instructs us to interpret the appearance of "all these things" or the end time events that Jesus just finished describing as immediate precursors and prerequisites to his coming (Mt 24:33; Mk 13:29)—just as the sight of all the leaves sprouting on the trees is an indication of summer being near or their nonappearance indicating summer is not near. Matthew 24:6-8 (HCSB) — 6 You are going to hear of wars and rumors of wars. See that you are not alarmed, because these things must take place, but the end is not yet. 7 For nation will rise up against nation, and kingdom against kingdom. There will be famines, and earthquakes in various places. 8 All these events are the beginning of birth pains. Revelation 6:12-15 (HCSB) — 12 Then I saw Him open the sixth seal. A violent earthquake occurred; the sun turned black like sackcloth made of goat hair; the entire moon became like blood; 13 the stars of heaven fell to the earth as a fig tree drops its unripe figs when shaken by a high wind; 14 the sky separated like a scroll being rolled up; and every mountain and island was moved from its place. 15 Then the kings of the earth, the nobles, the military commanders, the rich, the powerful, and every slave and free person hid in the caves and among the rocks of the mountains. Obviously the earth has not gone through a global catastrophe like this in modern times. According to Jesus therefore, until we see events matching these beginning of sorrows, the end is not here and his coming is not yet near. Plain and simple. That's how you know if Jesus' coming is near or not, without needing to know a date on a calendar. It also explains what people have been missing for 2000 years that has caused them to expect or predict Jesus' return every year. To better understand these actual events of the end and the counterfeit events like deception and "wars and rumors of wars," see my follow-up article. If you want to know everything I have to share on Wormwood and how God plans to save us right here on the earth from it, check out my comprehensive end time prophecy book Know the Future. I think it is a wonderful article crafted with great care. 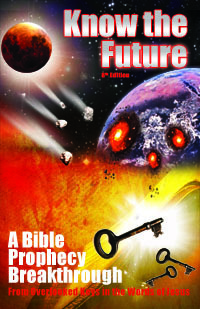 Having read your book “Know The Future” I recognized the application of your teaching of basic rules of Bible prophecy interpretation such as staying with the plain literal reading of a verse unless the context indicates differently, and always paying attention to the audience to whom the prophet is speaking. Carefully comparing the corresponding verses in the different gospels was another method that you executed like a sleuth to coax out the actual meaning and distinctions of the two different time frames prophesied about by Yeshua in this parable, one right next to the other, almost hiding in plain sight! Your interpretation of this parable does fit like a puzzle piece without forcing the structure of your overall prophecy teaching just as you propose to do in your work. I recommend to your readers a studious reading of your article after discerning the A-B-A-B pattern in the parable to dispel the erroneous notions about “this generation shall not pass” and “Fig tree = Israel”. These interpretations have been so obviously misleading to me with 65 years of age and over 45 years of walking (limping sometimes) with the Lord. I have patiently waited with great hope for nearly 45 years to see the fulfillment of the end time prophecies. But as time rolls on for me as a non-church believer who has understood and believed in a nuclear war destruction of America as Babylon the Great and a post-Trib rapture for all of that time, it was a great relief to me to find modern confirmation of these tenets held by a few of my generation. Just as invigorating to my patience, hope and faith are the study of the supporting and complementary interpretations I have learned by reading your prophecy teachings. If you take to approximate date of Jesus birth and add 70 years you see the destruction of Jerusalem as Jesus predicted on ‘That’ generation? Would it not follow the same pattern from 1948 upon ‘This’ generation? I do not believe in a pre-trib rapture nor the setting of exact dates, but adding or subtracting 4 years concerning Christ’s birth and adding or subtracting 10 years concerning the length of a generation 70-to- 80 years seems to put us in the ‘season’ of Christ’s return. 2018 to 2028? Your article made me curious about the difference between a fig tree and other fruit trees. So I read a little into it. I found in another article how fig trees can produce much unrippened fruit due to the way that it will feed the plant water and not the fruit to conserve itself when there is lack of water. How is this significant? In the 6th seal, the fallen stars are compared to unrippened figs. Therefore, they both lacked water! Water is compared to the Holy Spirit and life….so if these fallen stars are angels…they are those that lack God’s spirit in them. As always I enjoy reading your articles. They have been to great enlightment. Thank you for sharing your insight in your last article about the Olivet Discourse. Very good ! The Parable of the fig tree was something that Messiah said LEARN. George, “this generation not passing” has nothing to do with average life expectancy today or ever and everything to do with the 40 years from when Jesus spoke to “this generation” until 70 AD when not one stone of the Holy Temple was left on another. The real Jews are in Israel today as prophecy confirms. Each time I read your articles on Bible prophecy am always at peace with my thoughts your understanding of the scripture and the system you used in passing the message to us brings me to a state of understanding. Every of the scriptural reference you gave equate and give the true and real meaning of what the Bible and Christ is telling us. Thanks and God increase you more for that. I hope someday and have plans for it that I will get your book Know the Future and meet with you. Am no longer afraid and scared about the future I just have to keeping living BG the words of God and keeping up my faith alive. Praying that at the end the good God whom we are worshiping will count us worthy on the last great day. The word, “generation,” may refer to the generation of the flesh or old man, versus the generation of the spirit (or Spirit). “That which is born of the flesh is flesh; and that which is born of the Spirit is spirit” (Jn.3:6 KJV). If something is born, it is a generation. When He said to the Pharisees, “an evil and adulterous generation seeks a sign,” He could only mean in comparison to a certain few whom the Father had drawn and the Holy Spirit enlightened and changed to be new men. The two Adams come in view here.